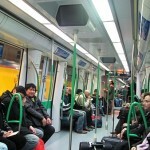 The public transportation system in Madrid is easy to understand and easy to use. Buy a ticket, pub it into the ticket controller as you enter into the metro station, and get of at your preferred station. 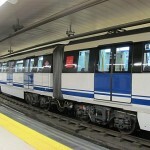 The metro line system is big and you can reach almost anywhere using the metro, so normally this is everything you need to use when it comes to public transportation in Madrid. If you plan to use it a lot we recommend that you buy a tourist pass valid for 1,2,3,5 or 7 days. The prices are absolutely acceptable for the use of this high-class transportation system. The centre of everything in Madrid is Puerta del Sol, and from here you can mostly walk to the most important attractions if you like to see the city from ground zero. If you rather prefer to use the public transportation a tourist pass can warmly be recommended. How to get from Madrid Airport to Madrid?